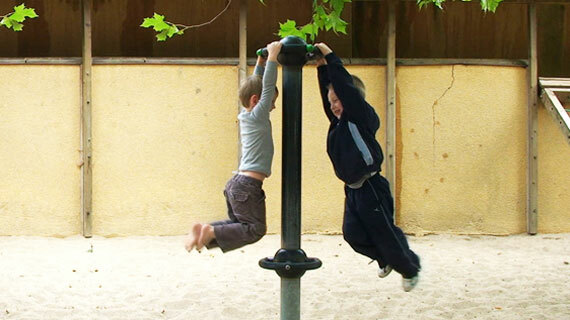 The work: “Two Boys” shows two children swinging on a turning pole. The time spend has turned into a loop. A short moment of happiness has turned into an endless moment.